We’re onto the home stretch with my Islay Distillery tours and one of the highlights was visiting Laphroaig. Nicely placed between Ardbeg and Lagavulin, the distillery itself is hidden behind a dense forest from the main road. Even approach this woodland you get a sense of what is ahead with the peat bogs on both sides and a series of small flags where the Friends of Laphroaig have donned the wellies and ventured out to their own patch of Islay. 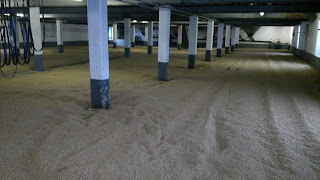 Conveniently situated by the coast, a small natural bay would have been ideal for the loading and unloading of barrels. There is a sense of tradition and calm as you park the car and make your way through the outbuildings towards the visitor centre. 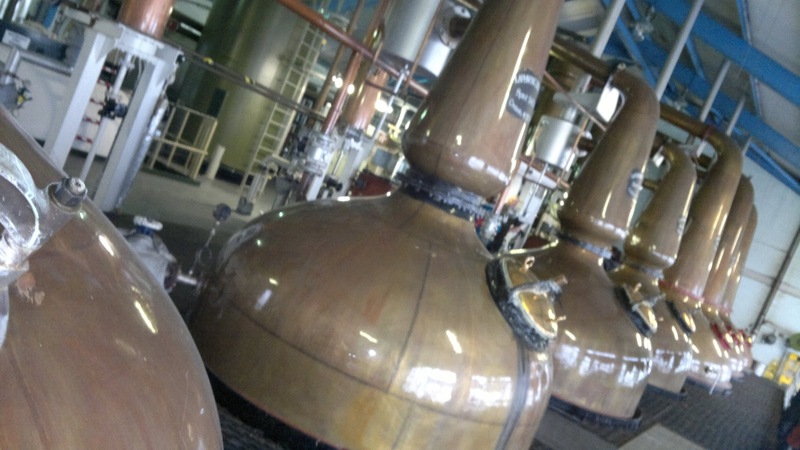 Due to time constrains and tours booked elsewhere we could only take the standard distillery tour which costs just £4.80 and lasts an hour, although Laphroaig offer a quick visit open or more indepth tours. 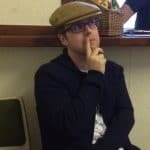 The gift shop is well stocked with items and bottles, just around the corner there is an inviting lounge area and another area holds a small museum, while there are lots of wellies for the dedicated FOL members who want to visit their piece of turf. The weather wasn’t ideal so I couldn’t venture out to my own spot, but if you identify yourself at the desk they can print off your FOL certificate which also comes with a welcome Laphroaig miniature. 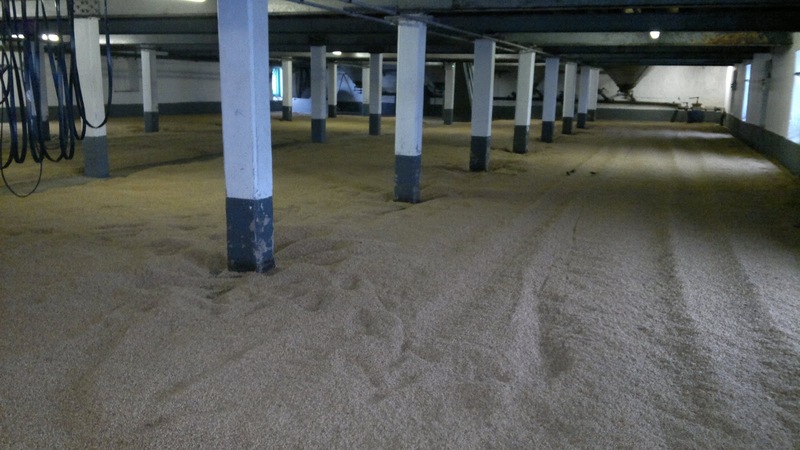 Working maltings are few and far between so this was a huge treat for us; actually seeing a working malting in operation for the first time despite countless distillery visits over the years. Our tour guide was (I think, sorry lost my notes) Andy, who had worked at the distillery for many years and was full of stories and that warm Islay nature that crossed nationalities. When on the island you realise the friendly rivalry all the distilleries have and they help out one another. This laid back attitude is a polar opposite to mainland Scotland and is very welcome. Health and safety has a more common sense approach so you can take photographs on the tour and we were encouraged to explore the various areas. Even when a small group of birds landed on the recently laid out maltings, one visitor was slightly alarmed by this contact, but the next stages of the process would remove any concerns. 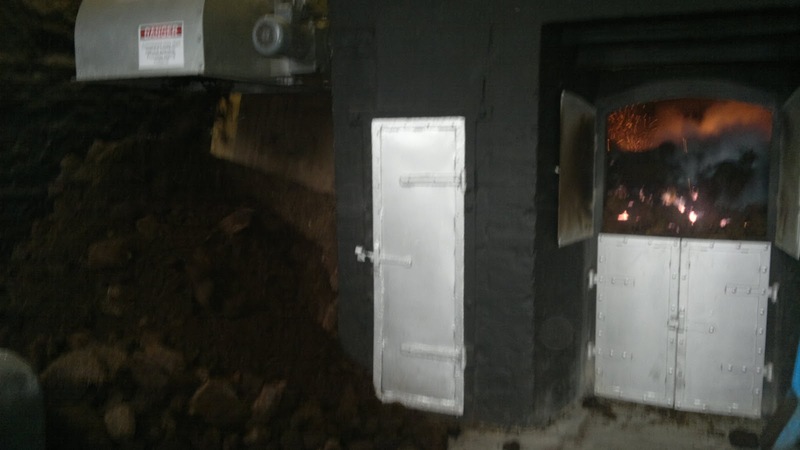 The above photo is the where the barley is laid out when the peat is burned, this kilning process is very traditional at Laphroaig as they still use hand cut peat, Bowmore in comparison use machine cut. 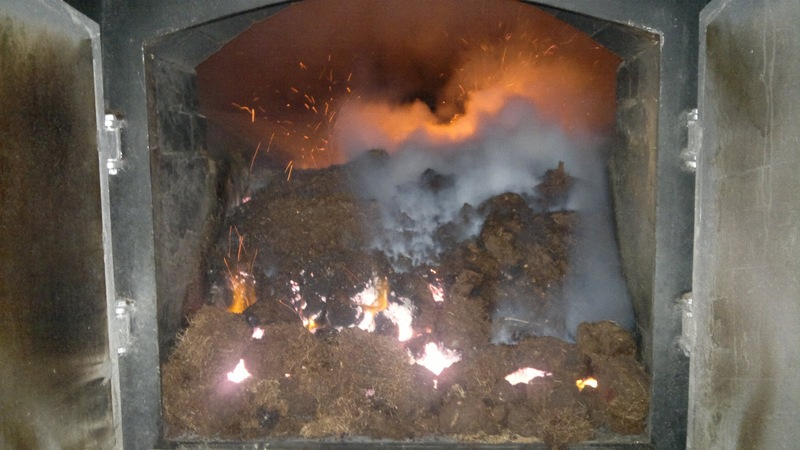 Both give the same effect and all the distilleries on Islay take great care in using this natural resource wisely. The peat fire was a great sight as shown above. 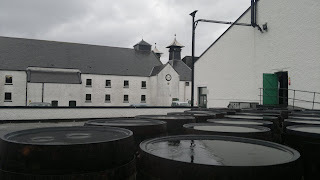 The aromas were rich and the heat was welcome given the cold, wet, Islay environment outside. Shovelling this material would be a really physical job but from our tour guides’ experiences not as taxing as cutting the peat from the fields. Laphroaig fire up the kiln a couple of times a day during the production process. Grab a spade and get to work! 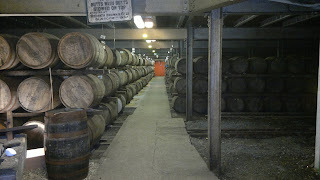 The next stage was to see the metallic washbacks and also a short description of Laphroaig’s connection with Prince Charles who has visited the distillery twice including an infamous visit via the local airport. 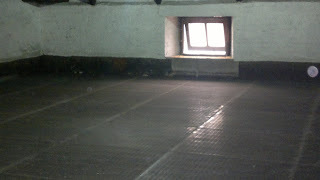 We then moved onto the still rooms which were again very welcoming. Outside the various types of cask Laphroaig use including the small quarter cask were explained before we visited the cask filling area, where you are able to view casks that are patiently waiting. So the Laphroaig tour is one of the few where you can really see the various stages of a traditional distillery in action, which makes it even more special. A warm welcome always awaits and the dram is pretty hard to beat as well; yes its a beast but it is so distinctive and I hope, will also remain so. 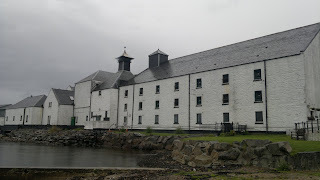 There seems to be a great team in place at the distillery and for Islay it is a must visit. As always all of my photographs are available right here if you wish to see more of the tour and Laphroaig. 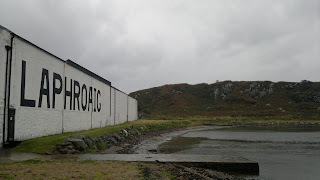 So, for everyone who has been following my Islay tours, we have only Bowmore left and it is a really special treat. Even the local bus drops by After leaving Lagavulin we followed the road along the Islay coastline passing by Laphroaig until we reached Ardbeg. 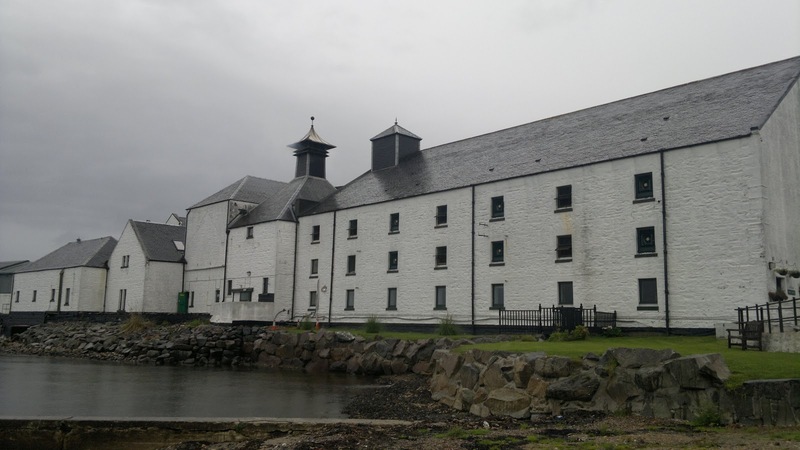 The..
Bunnahabhain is often overlooked in favour of other Islay distilleries; solid yet unspectacular in some eyes, it consistently delivers characteristic malts that are a world..